It’s an unavoidable reality: a large part of our current immigrant visa system involves visas for spouses of U.S. citizens. Much of my work as an immigration attorney in Kansas involves helping married couples navigate the confusing process of obtaining permanent status in the U.S. The most common myth that just being married to a U.S. citizen fixes one’s papers all by itself is far from true. In fact the process of obtaining your green card based on a marriage can be complicated, but it doesn’t really have to be. The most mysterious part of this process is the interview with USCIS. While you have the right to have your attorney present (and you always should), your own preparation and preparedness will make all the difference. What is the Marriage Interview? Everyone has heard the horror stories of spouses being split up and interrogated, that’s not what most interviews look like. That type of interview, called a “stokes interview” does happen, but it is rare. In most cases, a married couple will be interviewed together by a USCIS officer who will decide whether the marriage seems legitimate. This usually doesn’t look much like what you see in the movies. Although Hollywood has described this interview as highly confrontational (and often times comically so), in reality the interview is usually fairly simple. And it can make a huge difference if you are prepared. Assume there will be an interview, and start to prepare early. You already married the love of your life. You need to do what you can now to make sure that you can stay together. Start by talking with each other and gathering documents to help prove that you’re sharing your life together. If you wait to gather these documents until your interview, you may send USCIS the signal that the documents you’re submitting were created just to prove your case. 2. Submit as much of your evidence of a “bona fide marriage” as you can with the petition; don’t wait for the interview. There are two opportunities to submit your evidence proving yours is a real marriage: when you file the petition and when you go to the interview. Technically, you only have to file the “bare minimum” with the petition. But why not give them more? There are a number of good reasons to send your evidence early, but the most important is that you want the officer making the decision on your case to have faith in your case from the first review. I can’t guarantee the officer is going to review your file before the interview. But when they do review, you want to make a good impression. Sure, you can supplement the record at the marriage interview with more evidence (and you should). But by the start of the interview, the officer may have already made certain presumptions about you by what is in the file. Why let her? Filing as much evidence as you can, as early as you can, can convince an officer before your interview that your relationship is legitimate. It can also influence the tone of your interview. If the officer already has her doubts because you couldn’t manage to submit even a few documents showing your commingled assets or proving that you live together, then the officer is more likely to be skeptical of you with her questioning. This is along the same lines as the previous suggestion: you want your officer to be happy with you before the interview starts. If you’re going to give them 20 bank statements, all of your utility bills, your taxes, your lease, and some photos, you should organize them so that it’s easy for the officer reviewing your file to review them. Is an index mandatory? Of course not. But will the officer appreciate the effort? Definitely. This also makes it less likely that the officer misses one of your documents and asks you to resubmit it, thinking you didn’t submit it. Instead, make photocopies of the documents you are submitting, paginate it, and create an index. And don’t forget that you or your attorney need to keep an exact copy of everything you’ve submitted. [Note: after you submit your evidence, don’t be surprised if USCIS takes it out of order and moves stuff around in the file]. This should be a no-brainer, but sometimes people forget to update social media profiles. Maybe you created a Friendster account or a Facebook account or other accounts before you were married. You need to go back to those profiles and update them to show the changes in your life. You could also set them to “private,” but that’s not enough. Make sure they’re correct, that they show where you live and that you’re married. Finally, if you had dating profiles on dating websites before you were married, you have to go back and delete them. You might have forgotten about them, but you can be sure that USCIS is researching you before the interview. Just because you submitted a giant packet of documents with your petition doesn’t mean you should stop collecting. 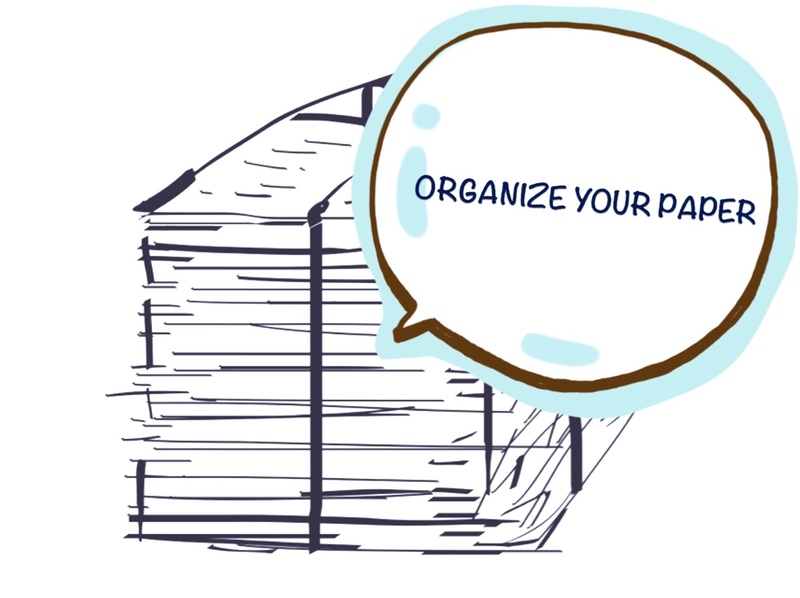 Keep saving copies of your documents that prove you live together, share your money, and like each other. You’ll need to give more (at least an update) at your interview. If you have a scanner at home, scan and organize them on your computer. That can make the process seem less daunting. Although it’s possible to reschedule an interview, you don’t want to. You will usually be allowed to reschedule at least once, but do your best to not have to do that. You want to show that you are prepared to prove your case, and the sooner they interview you the better. There is no telling how long your interview will be. An average interview is around 30 minutes, but take the day off of work if you can. Typically, there is no problem bringing babies to the interview (at least at Kansas City immigration interviews). When you receive your interview notice, it’s time to put together the rest of your documents to prove your marriage is legitimate – the “update” packet. Prepare it in advance, with an index and page numbers. Keep in mind that if you take original documents to your interview, the officer might not be able to make photocopies for you. So, prepare your documents in advance and bring a photocopy you plan to leave with the officer. It is hard to know what the officer will want. However, if you bring nothing with you, the officer is likely to ask for something. This is especially true of new officers, but there is a tendency, it seems, for most officers to ask for more documents at the interview. So rather than be sent scrambling after your interview for more documents, bring a substantial packet to the interview. 9. Be early to the interview. You can’t be late to the interview. Let me say it again: you can’t be late to the interview. Even if you are perpetually late to everything else in life, you must must must be on time to your interview. Did you know USCIS considers lateness a sign of fraud? That may sound silly, but it’s true. It’s easy to understand why they would think that. If a couple really isn’t in a bona fide marriage, they’re probably not living together, which means they probably had to meet up before the interview, causing them to be late. This is just like the driver’s license – it’s an easy way to avoid creating a negative, false impression with your officer. Be early. The worst part of these interviews is how nervous they make you. But the officer wants to see who you are, and they can’t do that if you’re too nervous. Nerves also can be a sign that someone is hiding something. So how can you avoid feeling nervous? Talk with your attorney about what the interview will be like. Do a practice interview if that would help. Make sure you know what documents you’ve already submitted. These can help take some of the stress off, allowing you to focus on what actually matters: proving to the government when you should be permitted to live with your spouse in the United States. Finally, get some sleep the night before and make sure to eat breakfast. These can help you to feel calm and collected when it is time for the interview. There is no single “right way” to prepare for your immigration interview. But, having your documents ready and knowing what to expect can take a lot of the pressure off, allowing you to more-effectively communicate to the officer why your visa should be approved. I never would’ve thought to check that my driver’s license has the right address on it! My wife and I have been married for a couple of years, and my wife wasn’t born in the United States. My wife is always driving in the car, so I will make sure to take her driver’s license in to be replaced when she has time!